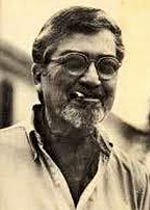 Alfred Bester was born in New York City in 1913 to Austrian immigrants to the U.S. Throughout the 1950's and 60's, Bester was an early pioneer in the Science Fiction genre, producing some of the most thought- provoking and original works to come out of that time period. His work, "The Demolished Man," won the very first Hugo Award in 1953, for best Science Fiction novel. Bester also wrote for comic books, as well as worked on the other side of the page as a magazine editor for a travel magazine called Holiday. Other prominent Bester works are "Who He?" and "The Stars My Destination."